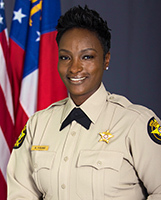 Newton County Sheriff's Office: Committed to Excellence - C.H.A.M.P.S. C.H.A.M.P.S. is taught to every 5th grader in Newton County Schools with subject matters to include: Drug, Alcohol and Tobacco Abuse Prevention; Gangs and Violence; Peer Pressure/Bullying; Internet Safety; Methamphetamine; and Cocaine. Lesson plans can be tailored for particular schools based on that school’s needs. 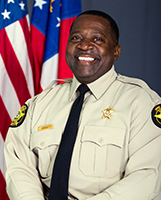 The course is facilitated by a Deputy Sheriff who has been certified to teach by the Georgia Sheriff’s Association. 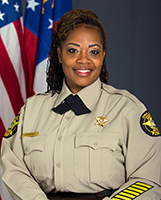 It is the goal of the deputies to teach the students what they need to be successful in the future and how to avoid the obstacles they will face along the way. The deputies are charged with leaving a lasting positive impression on each student with hopes to counteract the negative image often projected by the media. Since the inception of CHAMPS in 2009, under the administration of Sheriff Brown, 14,400 students have completed the course. 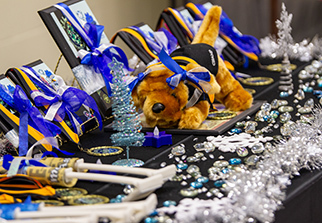 This year, 1,800 students completed the program. Sheriff Brown attends each CHAMPS graduation to extend words of encouragement to the students. He challenges “all students to become NBA stars in life, Never Be Arrested”. The program is funded locally by business, companies and individuals in our community without the use of any tax revenue.